https://www.kipling-usa.com/alcatraz-ii-large-rolling-laptop-backpack/100257351.html Alcatraz II Large Rolling Laptop Backpack NEW and improved with room for your beloved laptop and airline carry-on acceptable! Able to be wheeled or carried backpack style. Innovative features allow for use as carry-on luggage or a back-saving solution for students with a heavy homework load. Excellent rolling pack with only one flaw to be aware of. I own 3 of the Alcatraz II rolling packs, that I have used daily for the past few years to and from the university. It is well made and I have never had a problem with the handle or zippers. The only flaw to be aware of is -- it is NOT waterproof! You have to be careful! It rains here in Honolulu and I have to always have a thick, large plastic bag on hand to quickly put my laptop in, so it doesn't get wet. I do highly recommend this bag, just be aware of this issue. Love it. Bought it for travel and I love it. I have received the bags today and found that one of them is DOA (Defect on Arrival). Zipper is broken! Obviously Kipling's quality control is missing and sending customers defective product. I have checked return policy and found that there is No exchange and kipling is not responsible for shipping, handling, gift box fee or other additional charges for returned items, and will not refund original shipping charges....Very upset! We are so very sorry to hear about the item coming damaged, we can certainly assist you with this. We can send you a new one and send you a return label also to send back the damaged one. We can also expedite it for you to be shipped with overnight shipping due to this happening. If you can please contact at us by telephone number 866-376-4185 so that we can further assist you in this matter. Thank you! It’s almost perfect, I wish it had a spot for my waters bottle. Beautiful backpack but it came broken. 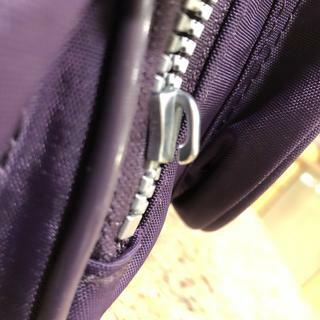 It is a beautiful rolling backpack,but mine came broken. It was a very expensive backpack and came with the handler broken. I didn't returned because I don't want problems,but I don't know if I want to buy another one in the future. Good for travelling. This is my 4th purchase. I bought one for my husband, 2daughters and myself. I'm starting Nursing school this fall and so far all the books that are required for the classes are many, so i know its going to hurt my back carrying all those books. I really hope this bag is as good as they say it is. I own this backpack in dark blue. It's getting a bit worn. I love it so decided to try a new color. Love the color and needed a new rolling computer bag. The super sale price made it irresistible.